It has been announced that Auckland based Compass Communications has reached a conditional offer to acquire the Ultra-Fast Broadband (UFB) business of Northland based Ultracom. Currently Ultracom offers telecommunications services to customers in the Northland region, using Northpower’s Ultra-Fast Broadband fibre network. 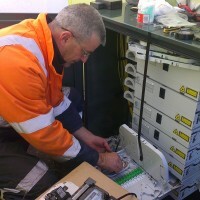 Currently Compass Communications provides telecommunications services to customers in Northland, as well as thousands of homes and businesses throughout New Zealand. Karim Hussona (CEO, Compass Communications), says: “We work closely with Northpower Fibre currently, and have an established wholesale relationship with Ultracom. We are excited to have the opportunity to acquire Ultracom’s UFB business which they have built up over the past four years. “As a Kiwi-owned and operated telecommunications provider, we are big enough to make a difference, but small enough to care, and we truly believe this will have a positive impact for the Ultracom UFB customers that we have acquired. We have all the efficiencies of some of the larger providers, but are small enough that each and every customer and their experience with us is a top priority. Our customer support team is New Zealand based, ensuring we are utilising New Zealand people and providing a local service. Ultracom have indicated that their UFB customers can already contact Compass Communications directly on 0800-640-840 should they have questions.